Ideal for official stamps - for offices, authorities, city halls or universities. The Printy 4638 self-inking rubber stamp prints a round impression with the maximum diameter of 38 mm, up to 7 lines of text can be added. 6/4638 replacement pads fit the 4638. They are available in the 5 standard colours: black, blue, red, green and violet. Dry felt pads are suitable for special inks. 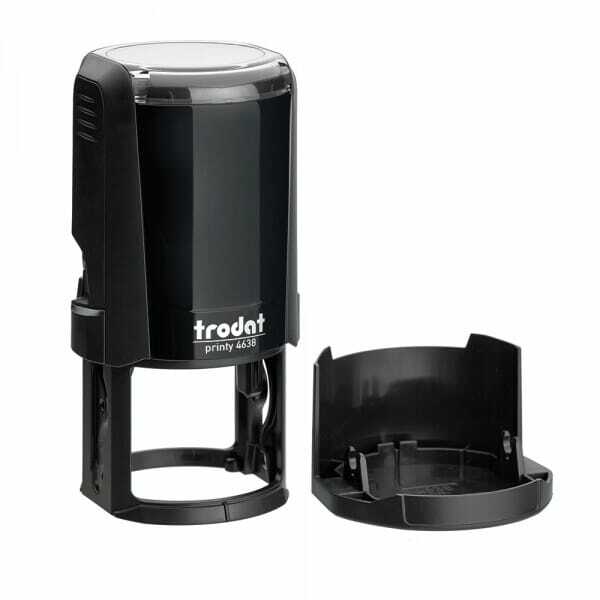 Customer evaluation for "Trodat Printy 4638 38 mm diam. - 7 lines"